Fakro Blinds -Equally important is the fact, that the blinds fit Fakro windows perfectly. 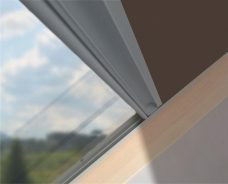 A number of blinds fit Fakro windows; however, not all fit the Fakro window profile. 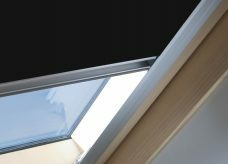 As a result, all Fakro Blackout Blinds block out all light entering a room providing a perfect seal in the closed position. Additionally, a rubber seal closes down onto the window. In effect, the seal prevents light leakage into the room. Additional side rails helps to prevent the light leakage. 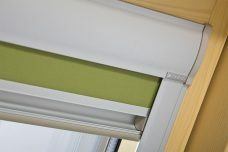 Fakro Blackout Blinds combines quality and functionality. Not to mention the range of fabric choice to suit any decor. 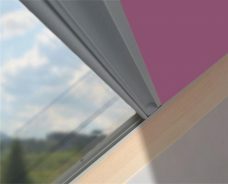 NB Genuine Fakro Blinds provides a saving on heating, keeping up to 30% of heat within a room in the winter. During the summer the blind allows a room to stay cool. For one thing, Fakro blackout fabrics in addition to a silver layer combine protection from the sun’s rays. Not forgetting, the blackout fabric providing the darkness by and large. The operating handle, controls the amount of light in a room. 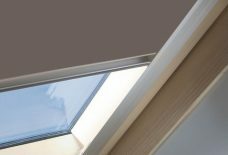 The blind’s construction provides quality Fakro Blinds for loft windows. For the time being blinds sold on this website operate manually. If you have difficulty in reaching the blind, then you will be able to purchase a ZST rod. NB All photos on our website are provided to illustrate how the blinds may look. As monitors or devices vary, please order a sample to check that it is suitable for your needs. Blinds are manufactured in Poland, the home of Fakro blinds. There is a 15 -20 working days turnaround for the blinds. Authorized Fakro Blinds Supplier in Milton Keynes and UK.